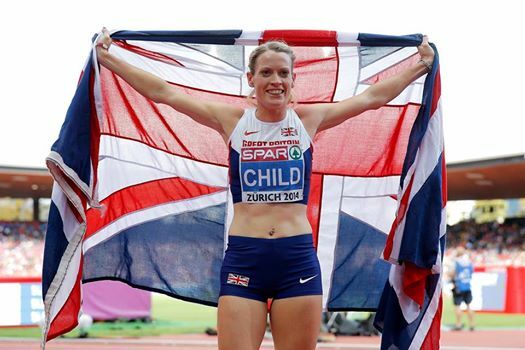 Eilidh Child added to her already significant medal collection from major events with a bronze at the World Relays in the Bahamas. The Great Britain and Northern Ireland squad finished third in the 4 x 400m event in a time of 3.26.38 in the early hours of Monday morning our time. 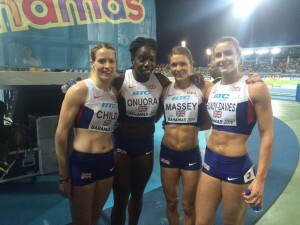 Eilidh was on the opening leg for the final and the time improved by a couple of seconds the quartet’s run the previous night in Nassau, when they had clocked 3.28.51. The United States took gold in the final with Jamaica second and GB anchor, Seren Bundy-Davies, holding off the French with a strong finish. Anyika Onuora and Kelly Massey made up the team. It also means GB and NI have now qualified for the Olympics under new rules for the relay events in Rio – and that could be good news for athletics in Scotland with British indoor 400m champion, Kirsten McAslan, hopefully in the mix for the squad as well as Child. For Eilidh, it is a ninth significant medal in individual and relay events at major championships such as the World Champs (indoors and outdoors), the European Champs (indoors and outdoors) and the Commonwealth Games – where of course she landed a silver in Delhi in 2010 and at Glasgow 2014. Eilidh told the BBC: ‘This squad is brilliant. There are so many names there and everybody’s going to be fighting for individual spots and that can only mean that the relays will be stronger. ‘It just takes such a lot of weight off our shoulders now and it means we can really focus on building this team and be ready for Rio next year. It is a great start to what we hope will be a brilliant season for all of us and we’re just so happy. Child, the hurdler now based in Bath, thought it was a “great achievement” to have managed a medal behind quality American and Jamaican opposition. Steph Twell had made a fine start to the 2015 season and she confirmed that emphatically at the Payton Jordan international in California. 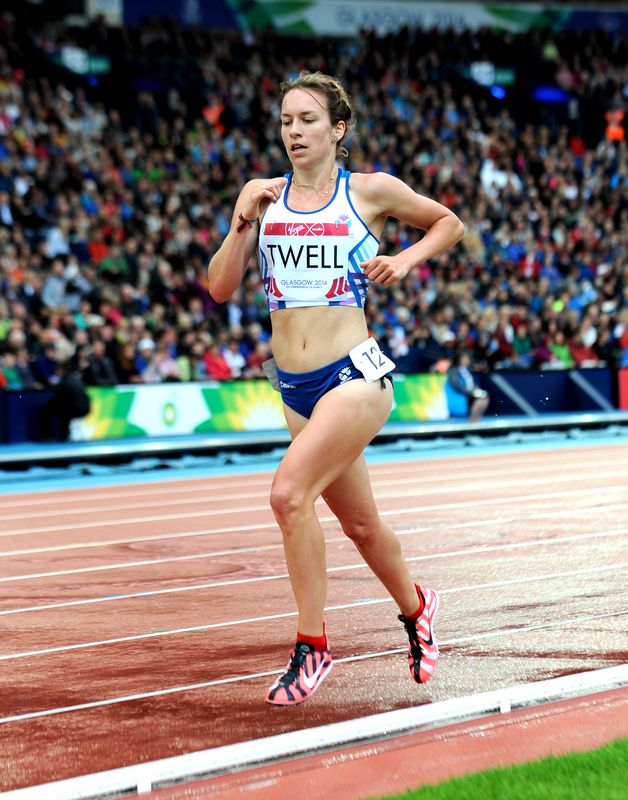 Twell raced the 5000m and was inside the World Championship standard for Beijing with a run of 15.13.82 to finish eighth. The standard asked by British Athletics is 15.20 with Emelia Gorecka at 15.35 in the same race. 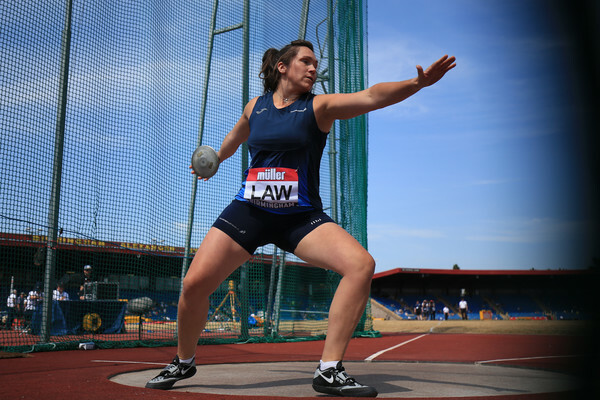 Delhi Commonwealth Games medallist Steph, the Scottish record holder in the event, now leads the British rankings so far for 2015 with Beijing now very much on the radar. Her Glasgow 2014 Scotland team-mates, Luke Caldwell, was also in good form with a PB in the 10,000m. Luke ran 28.29.61 – a significant improvement on the 28.47 he ran at Hampden last year – and that performance should take him into eighth place in the Scottish all-time list. Neil Gourley also clocked a PB with 3.44.27 for the 1500m as he chases the Euro U23 qualifying time at 3.42. And another Glasgow 2014 Scotland international, Lennie Waite, was at 9.50.32 for the 3000m steeplechase (just a couple of seconds adrift of her PB for the event). 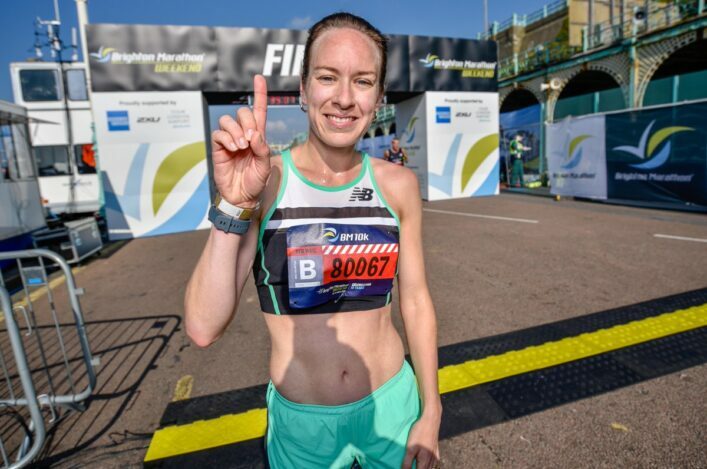 Encouraging signs from across the Atlantic and congratulations in particular to Steph, who recently also ran 8.50 for 3000m which at that point in April was a world-lead. Elsewhere in America, Jax Thoirs was at 5.53m in pole vault and Nick Percy at 54.91m in discus. There are results details on the Scotstats website. Scottish Para athletes impressed at the British Wheelchair Racing Championships at Stoke Mandeville. 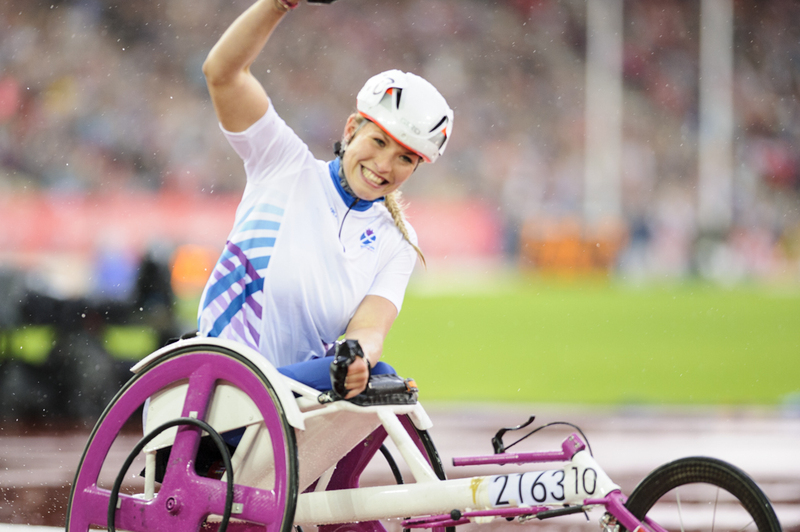 Sammi Kinghorn picked up a gold hat-trick in the 100m, 400m and 800m while her Commonwealth Games team-mate, Meggan Dawson-Farrell, took two third places – in the 400m and the 1500m. Kinghorn was a decisive winner in both the 100m and 400m races, beating a bronze medallist from the last world champs in the process. She was then beaten in a photo finish in her first 200m in 16 months but finished the day with a storming 800m win in torrential rain, thunder and lightning – beating a high quality field. Sammi’s next track outing will be in Switzerland. Scottish Veteran Harriers held their Walter Ross 10k on Sunday at Pollok Park – with the conditions less than ideal. It was a Cambuslang 1-2-3 with Robert Gilroy the clear winner in 31.33 from Colin Feechan and Chris Upson. Pamela McCrossan took the women’s race in 42.45. Results are on the SVHC website. Photos on Facebook.